Launched in February 2014 by two serial and successful entrepreneurs, Jason Kennedy and Ray Nolan, Intalex is a proprietary, online trading exchange enabling recruitment firms to trade directly with each other in a new and private market place. It also allows employers access an aggregated supply chain of the best recruiters in the world and conversely recruiters can deal directly with employers whom they could not reach previously. We provide a unique and world-class technology solution, helping address talent supply and demand imbalances that exist in the global labour market, enabling you to be successful in the changing world of work. The domestic and international recruitment sectors are highly fragmented and served by a large number of small and medium sized recruitment firms. In addition, changing demographics and profound market shifts are transforming the global demand for and supply of human capital and talent. In short, there is global imbalance in the war for talent where demand is greater than supply and this imbalance is forecasted to radically worsen over the next decade and become even more challenging for the global recruitment industry. Recognising this global Talent imbalance and future skills crisis the founders of INTALEX built the platform to enable International talent mobilization as a means of addressing the supply and demand talent imbalance and in so doing creating new revenue opportunities for recruiters world-wide. 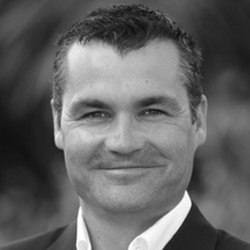 Jason is co-founder of Intalex, and a much - respected leader and prolific international speaker within the global Recruitment Industry. He has led a number of global multinational and privately owned organizations within the staffing industry. In 2010 he was the recipient of the prestigious International Entrepreneur of The Year prize at the Recruitment International Awards in London. 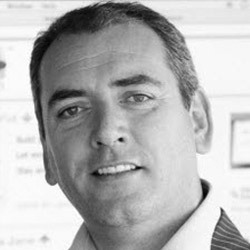 Ray Nolan is co-founder of Intalex and serial entrepreneur. He has been instrumental in the success of a number of high-profile companies in the global technology sector, notably as founder of Hostelworld.com, which he grew to become the leading worldwide brand with distribution contracts in 170 countries. He was presented with the Ernst and Young Emerging Entrepreneur of the Year Award in 2003 and the Irish Internet Association Net Visionary Award in 2006.